STORY: Goro lives... A 2,000 year old half human dragon Goro remains undefeated for the past 500 years. He won the title of grand champion by defeating Kung Lao, a Shaolin fighting monk. 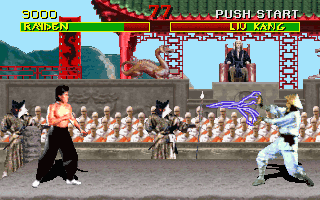 It was during this period that the tournament fell into Shang Tsung's hands and was corrupted. REVIEW: Inspired by the arcade smash hit that was Street Fighter 2... 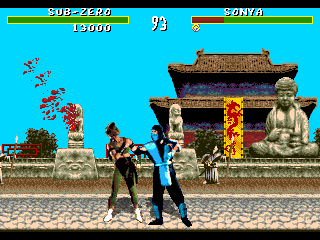 The original Mortal Kombat emerged in 1992 featuring groundbreaking digitized graphics, immersive sound, and unparalleled video game violence (which would spawn years of controversy, along with hype). 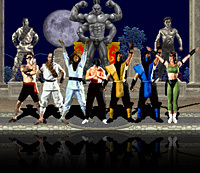 Featuring 7 selectable characters, 2 boss characters (and 1 secret character) Mortal Kombat introduced an exciting new cast of martial arts inspired characters and backdrops. All memorable fighters in their own way. 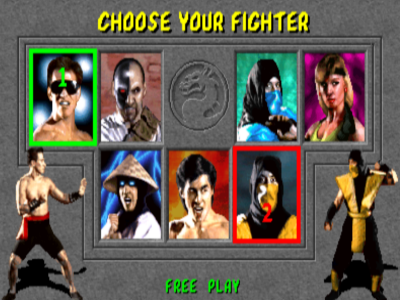 Mortal Kombat's gameplay engine features 5 buttons: 2 punches and 2 kicks (mid & high), and an unfamiliar "Block" button. 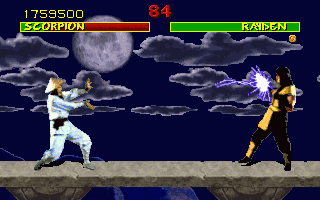 MK was indeed the first fighting game to ever require a block button, and undoubtedly required some getting used to for players familiar with other fighting games of the time. 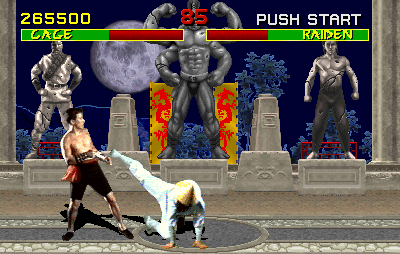 The block button became a unique trademark to the series, while most other fighting games retained the "hold back to block" format. Most fighters in MK share nearly the exact same priority attacks, including an insanely "hard-hitting" uppercut... which offered a new level of "satisfaction" never seen before in the fighting game realm. Most importantly, each fighter has a selection of their own unique special moves & projectiles, and effectively allows them to stand out from one another. 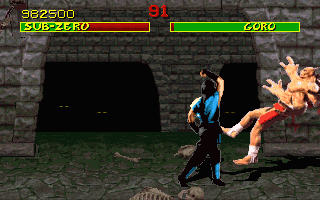 Along with the strikingly unique appearance of the game, MK's interesting gameplay elements, like "Fatalities," further distinguished the title from other well-known fighting games. 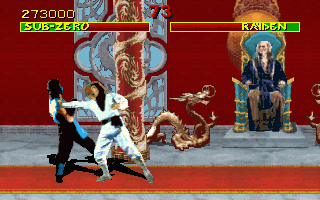 After winning the final round, MK characters can execute a brutal finishing move or "fatality" on their opponents by inputting a special button command (which had to be discovered outside of the game itself). These "secret" moves are gruesome, involving the likes of "ripping off heads" and "burning flesh to the bone". 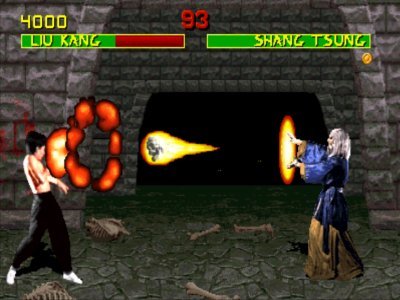 This violence became a defining aspect of the Mortal Kombat series, and ended up adding a ton of hype to the game over time. After witnessing a Fatality, newcomers to MK were usually quick to ask the winning player "How did you do that!?" ...and thus, a new hit in the growing fighting game industry was born. 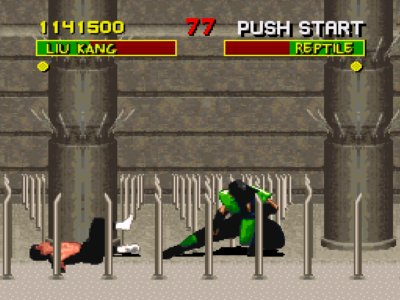 In addition to the staple "arcade ladder" of single opponents, Mortal Kombat introduced an innovative new feature called Endurance Mode. Endurance Mode pits your character against 2 opponents, one after the other (with only one health bar). 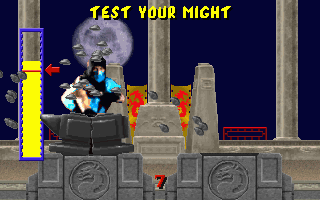 Other bonus mini games like "Test Your Might" also defined the 1-player experience of MK. 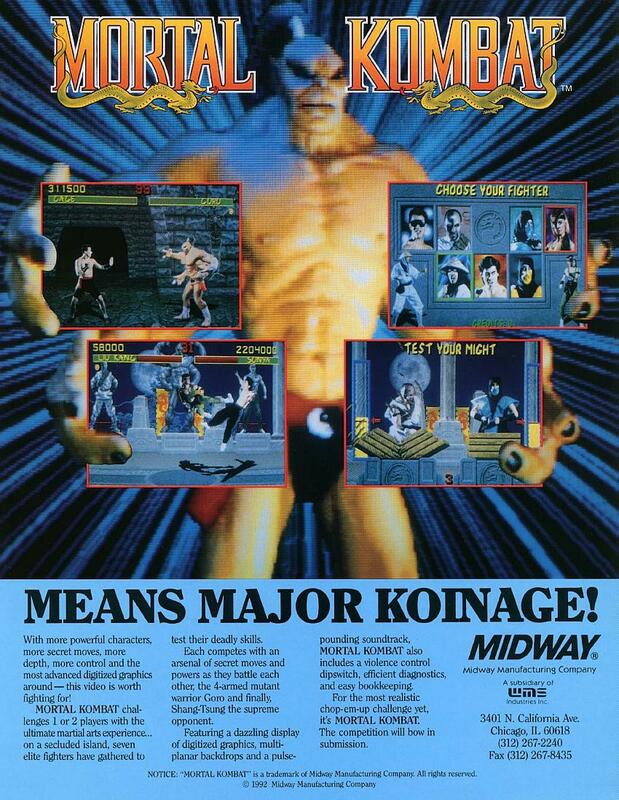 Finally, a variety of "secrets" like stage fatalities, finishing moves, and other hidden elements of the game pushed the title to be one of the most successful and memorable fighting games of the early 90's. 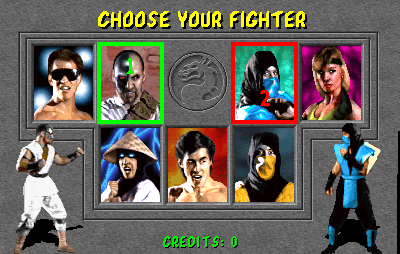 MK's straight-forward, yet complex style of gameplay also made it enjoyable for newcomers and rewarding for long-time players. 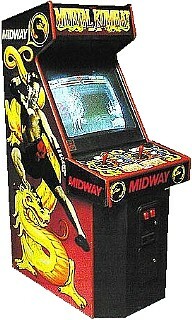 Final Words: Like many others in The Fighters Generation, I was just a kid when MK first hit the arcades. I was as shocked as everyone else to see people falling to their deaths onto bloody spikes and having their heads ripped off. I have to admit it even slightly disturbed me in the beginning; but I actually came around and began to appreciate this game after a while. The "universal uppercut" that every character could perform was also one of my favorite moves to perform... that move had some satisfying oomph. 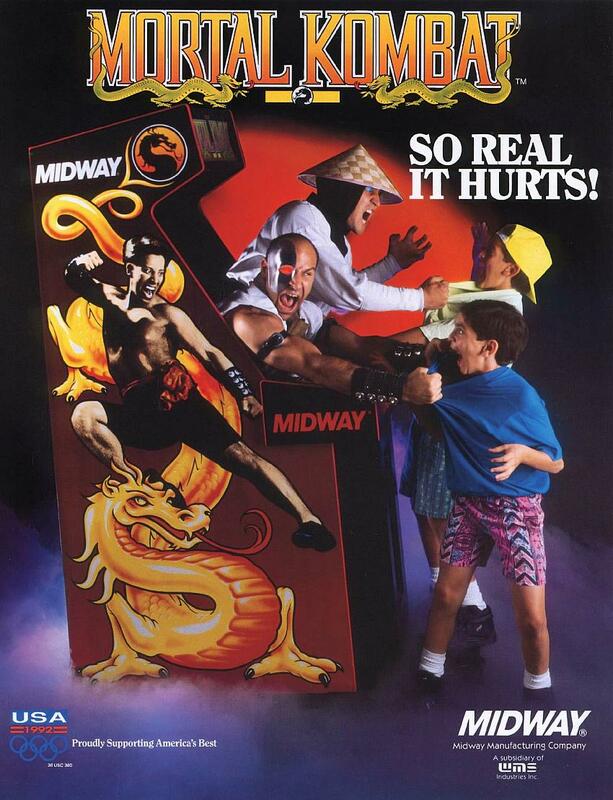 No one can ever deny the "shock value" of the first Mortal Kombat. Everyone from parents to congress was talking about this game when it released, and some even declared that it will corrupt the nation's youth and such. Remember parents, video games don't kill people... people and guns kill people.